My job is to investigate and expose human rights abuses and large-scale corruption in Angola. It’s not just my job – I have dedicated my life to this fight for justice in my native land. Inevitably this makes me a target for harassment by the current regime and the judicial system it controls, such as the Criminal Investigation Service (Serviço de Investigação Criminal – SIC) and the Office of Attorney-General of the Republic (Procuradoria-Geral da República – PGR). These minor irritations are part and parcel of the kind of work done by social justice activists the world over. Abroad, in Western democracies such as Portugal, people are often surprised that the Angolan government, which has been repeatedly branded as a dictatorship, doesn’t use violence to the same extent as other dictatorial regimes to silence critics. 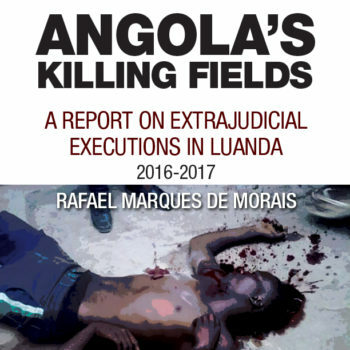 Perhaps they are unaware that extrajudicial execution is a commonplace event in Angola. I am often threatened, or “advised”, by apparently-solicitous friends of the regime that the Angolan authorities could easily “solve the problem” by resorting to violence. Be in no doubt: the law of the bullet still prevails here. All the President’s men have real bullets in their armory, so it comes as an amusing surprise when, from time to time, they threaten to use defamation lawsuits to try to silence their critics. As they have found in the past – even when they can control the judiciary, the resulting publicity brings adverse consequences. So it was with a satisfying chuckle that I received on Sunday last a letter from the London-based firm of Schillings. Let me explain that Schillings specializes in coming to the assistance of wealthy clients wanting to suppress ‘kiss and tell’ articles that would undo their carefully-crafted reputations. This is the firm hired by philandering sportsmen, media personalities and politicians desperate to ensure their bad behavior doesn’t become public. The firm advertises itself as “an international reputation and privacy consultancy staffed by reputation, privacy and family lawyers, risk consulting, cyber security and intelligence specialists”. It champions the ‘super injunctions’ aimed at preventing publication in the first place – and if those fail, sues for defamation whenever possible. Schillings is a prime destination for people who engage in what is called “libel tourism”. The term, first coined by the distinguished UK-based human rights lawyer Geoffrey Robertson describes the practice of pursuing a case in England in preference to other jurisdictions, such as the United States, because English law offers fewer protections to those accused of making derogatory statements. Evidently Schillings has a new client, a personal friend and business associate of the Angolan President’s son, who has much to fear from exposure of his activities. And on behalf of that new client, Schillings has threatened a potential defamation lawsuit in connection with Maka Angola’s recent reports about the activities of a firm named Caioporto S.A, and for having published an opinion piece by law professor Rui Verde, entitled: “Zenú: Corruption Kills” (addressing the President’s son José Filomeno dos Santos, aka Zenú). As you know, we act for Jean-Claude Bastos, who is an indirect shareholder of Caioporto S.A., and write this letter in accordance with the Pre-Action Protocol for Defamation. No, Maka Angola didn’t know (but is now made aware) that Schillings has been hired by Jean-Claude Bastos de Morais. And acting on his behalf, that their opening gambit is what they call a “pre-action protocol for defamation”. Oh joy. This “pre-action protocol” goes on to list everything that could be deemed unsavory or unwelcome information about their client, along with a request it be retracted and an apology given – or else legal action will follow. Please. Really. Please launch an action in court – the resultant publicity will ensure that your client’s role as an accomplice to grand larceny from the Angolan people will get a much-wider airing and likely result in international criminal action against him. I confess, it is a bit of a novelty to receive a threatening letter from a British law firm. What about Angola’s zealous Attorney-General, General João Maria de Sousa? Is he not better placed to defend the regime and its cronies from an allegation of corruption? Doesn’t the Dos Santos regime have the full panoply of the Justice System in Angola at its disposal to process any perceived lese-majeste? After all, this is a case involving the President’s son and a dual national who boasts of his Angolan citizenship when in Angola (but uses his Swiss citizenship when it suits him). Mr Bastos is not a British citizen, nor does he reside in the UK. Equally neither the President’s son Zenú nor Maka Angola’s editor Rafael Marques de Morais are English or reside there. Why then did Mr Bastos seek out an English law firm to make his complaint? That phrase “libel tourism” comes to mind. Really, Schillings, in which jurisdiction do you think this alleged “defamation” occurred? Clearly not in the UK when Maka Angola publishes in Angola only. Jurisdiction aside, even if you were able to mount a defamation case in London, don’t you know that the truth is an absolute defense? Sadly, no doubt based on unfounded assertions by your client, the “pre-action protocol” letter is riddled with false and easily-disprovable assertions, right from the opening sentence, when you refer to Mr Bastos as an “indirect shareholder” of Caioporto, S.A, which is manifestly untrue. Official records attest to Mr Bastos’s ownership of 99.9% of the stock of Caioporto, SA. That makes him the direct majority shareholder – and then some. Clearly Jean-Claude Bastos was hoping that the prospect of the expense and inconvenience of a potential lawsuit in a foreign land might scare the whistle-blowers in Angola into retreat. He knows all too well that in Angola his reputation is in tatters. He is notorious as a swindler who specializes in using public relations and communications techniques to confer an air of respectability and sophistication to his role as an accomplice in the looting of the Angolan public purse by the President’s family, in this case his son José Filomeno dos Santos. Let me be crystal clear about this. I repeat. 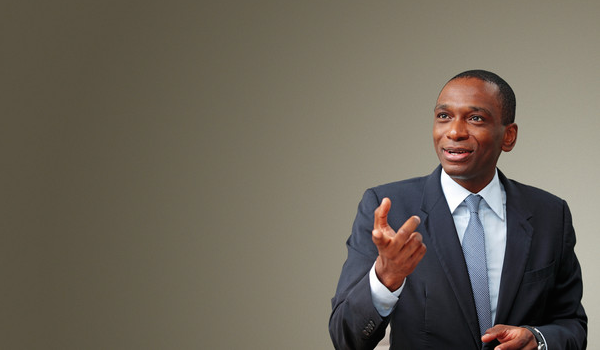 Jean-Claude Bastos is a swindler, up to his neck in the cesspit of Angolan corruption. His ‘business’ activities as a partner to the President’s son in the transfer of monies from the Angolan Sovereign Fund to the benefit of his private company will almost certainly be the subject of investigation after August 2017, when the Presidency finally changes hands. Schillings demands that Maka Angola immediately remove these articles from the website, undertake not to repeat the allegations, and publish an apology (whose terms and wording are to be pre-agreed with the firm) to clarify that their client “is not unduly or illegally enriching himself through the Porto de Caio project”. They also want Maka Angola to “compensate” (this is particularly rich!) “their client for the damage caused to his reputation and business” and even “pay his legal costs”. Of course such a brief message in no way can convey our delight at the prospect of producing in public, in the international forum represented by a British court of law, evidence of criminal behavior by the Angolan presidential family and their international accomplices. Schillings goes on to state, without any basis in provable fact, that allegations in the Maka Angola reports are “false and misleading”. On the contrary, the published statements are demonstrably true. The information published by Maka Angola is based on official documents in the public domain and on a reasonable interpretation by more than one expert as to what resulted from the chronology of successive actions. Credible and reputable sources, whose identities are known but protected, supplied corroboration. Schillings is particularly concerned that when Maka Angola supplied the allegations to all the interested parties so they could respond, there was no particular deadline offered. As Schillings surely knows, there is no legal obligation to provide a cut-off date before publication though journalists frequently offer one as a matter of courtesy. All those named were offered the right to reply. Schillings notes that questions were sent to the interested parties on February 20, 2017 and the material was published on March 13, 2017. Three weeks apart. Objectively, a period of 21 days is more than reasonable to allow any interested party to respond. Even the best lawyers must find it difficult to defend their client’s reputation based on falsehoods. There was no email from Djembe Communications. At no time did Maka Angola ever receive any response whatsoever from Djembe, which represents both Jean-Claude Bastos and the Angolan Sovereign Wealth Fund. If one had been received, it would have been included. Jean-Claude Bastos, but in this “defence” they cite communications with the Angolan Sovereign Fund, which is run by Zenú, not their client. Is that pertinent to their client’s non-response? And did they omit to find out why their client failed to exercise his right to reply? José Filomeno dos Santos “Zenú”, the head of the Sovereign Fund. This is what actually happened: after more than a week without any response from either Filomeno José dos Santos “Zenú” or Jean-Claude Bastos de Morais, Maka Angola contacted the Sovereign Fund spokeswoman, Nicole Anwer, and sent her the same questions. She replied with the following: “We have taken note of your questions. We will, in the coming days, provide the due information, requested through Djembe Communications” (Tomamos nota das questões apresentadas. Vamos nos próximos dias, providenciar a devida informação solicitado através da Djembe Communications). Maka Angola left a final message for Anwer on March 8, 2017 stating categorically that the material was going to be published on March 13, and Anwer failed to respond. i) Presidential Decree 177/12, issued on August 14, 2012. Angola’s Ministry of Transport is authorized to enter into a concessionary contract with the firm Caioporto SA, with regard to the new Caio Port, in the ambit of a private-public partnership. Article 2 specifies that the private firm Caioporto SA, is responsible for the “financing, planning, conception, remodelling, engineering, construction and provisioning of the new Caio Port.” In exchange for this, the private firm obtains the exclusive right to supply the installations and services for the Port and any vessel that might use it. ii) Presidential Decree 234/12, issued on December 4, 2012. A significant amendment to the prior decree, this introduces into the contract authorization for a Sovereign Guarantee to ensure that first payment would be to those entities which finance the project (Article 6A of the Presidential Decree 177/12 superseded by Article 2 of 234/12). The Angolan State additionally offers a Minimum Income Guarantee to ensure the economic viability of the new port. The effect is that the State becomes the ultimate guarantor for the success of the business. iii) Presidential Decree 230-A/15, issued on December 29, 2015. This decree created further benefits for the zone to be exploited by the Caioporto firm, and confirmed the Sovereign Guarantee to the value of US $751 million. iv) Presidential Decree 238/16, issued on December 21, 2016. This decree overturned the entire private-public partnership set-up. The private firm ceases to be responsible for financing the project, which now passes to the State of Angola. It says Angola will finance the works through inclusion of this project into the line of credit granted by China as defined in Presidential Decree 138/16 issued on June 17, 2017. Article 1 sets out that the concession awarded to Caioporto SA remains exactly the same, except in matters concerning the financing of the project. Articles 2 and 4 note that Angola assumes 85% of the financing with a mere 15% to be supplied by Caioporto. The value of the contract is now listed as US $831 million US dollars (an extra US $291 million, i.e. a 54% price rise. And the contractor is now listed as the Chinese firm, China Road and Bridge Corporation. Instead of Caioporto raising the entire cost and organizing the construction, the State of Angola has to raise 85% of the cost. The 85% (US $707 million) is supplied by China through its line of credit and the constructor is now to be a Chinese firm. At that stage, Caioporto was still responsible for raising the final 15%: US $124 million. Instead, on January 30, 2017, the Angolan Sovereign Wealth Fund announced that it was going to invest US $180 million dollars in the Caio Port project. Why? A complement to the loan from China? Was it then to substitute the 15% seed money that Caioporto was supposed to raise in exchange for monopoly rights to operate the port? Information was received (from various sources) that Caioporto had failed to raise the funds from private investors, and that the Sovereign Fund investment was to cover the 15% shortfall, making this a project entirely financed out of public monies. And it paid US $56 million more than it was required to cover the shortfall. The Schillings email says the Angolan Sovereign Fund (Fundo Soberano de Angola – FSDEA) has not invested in Caioporto SA as incorrectly stated… yet then immediately afterwards contradicts its own assertion by admitting: “the FSDEA’s investment of 180 million dollars in the port was made through the FSDEA’s infrastructure fund.” It wasn’t the FSDEA but one of its internal funds? It wasn’t in Caioporto but in the port from which Caioporto is the beneficiary with a guaranteed income? This takes hair-splitting to risible levels. The favorable monopoly concession and minimum income guarantee to Caioporto was the quid-pro-quo for its raising all the finance to build the port. When it failed to convince international investors to do so, an Angolan Sovereign Guarantee was added to the deal. This Sovereign Guarantee for US $750 million was re-affirmed as late as 2015 and only fell by the wayside when the State took over 85% of the financing in 2015 (as it does not need a Sovereign Guarantee to itself). All this is in the official documents which are in the public domain. And just to clarify: a Sovereign Guarantee to creditors is an assurance of repayment of debt. A Guarantee of Minimum Income is an assurance of payment of an agreed return. These are not the same thing, though Schillings appears to think they are. In any event, Angola’s Sovereign Guarantees are no longer accepted as trustworthy by international financial institutions after the financial chaos unleashed in Portugal over the Banco de Espírito Santo Angola (BESA) case when Angola withdrew its State Guarantee without notice, causing the collapse of the Portuguese parent bank, the Banco Espírito Santo (BES). When all is said and done, Maka Angola believes that an apology is indeed owed. The apology is owed to the Angolan people by sometime Angolan, sometime Swiss, swindler Jean-Claude Bastos de Morais and his sidekick, the President’s son, José Filomeno dos Santos “Zenú”. They should be on their knees begging forgiveness for using public monies that belong to the nation, the Angolan people, for an enterprise whose guaranteed profits will go only one way – to Mr Bastos’s firm, Caioporto. More than this, they have a moral obligation to repay the Sovereign Wealth Fund. For as long as Zenú’s father holds the Presidency (and time is running out as he has only five more months in office) the Angolan judicial system will not act against him or his special friend, Mr Bastos. But after the election in August 2017, that will change. And one thing the Dos Santos family is keen to avoid between now and then, is any further exposure of their accumulation of wealth and business dealings. You might want to advise your client just how much it could cost him to mount this seedy attempt to suppress the truth. Win or lose in court on the day, every insalubrious detail of his dealings will be put on the record and broadcast around the world. So bring it on, Schillings. It will be an honor – and a great pleasure – to confront Mr Bastos in court. One way or another, justice will be seen to be done.